According to local sources in Shan State, especially in Shan State South and East, the main challenge for the Shan Nationals Democratic Party (SNDP) to face in Shan State is to convince the non-Shan voters. Currently in Shan State South’s Loilem Township, there are four parties already canvassing for the votes in the areas. They are: the Union Solidarity and Development Party (USDP), National Unity Party (NUP), Shan National Democratic Party (SNDP) and Pa-O National Organization (PNO). A local resident in Panglong said one of the SNDP’s main problems is to canvass for other ethnic groups’ votes because there is not only the Shan community but also others ethnic communities in the areas like Pa-O, Yang Lam (Yinnet), Palaung and Chinese. In Shan State South, Pa-O has the second biggest population after the Shan and in the East, the second most populated are the Wa and Lahu. “The SNDP therefore must try its best to show what incentives it can guarantee for other ethnic peoples,” he said, “They cannot be like the USDP and NUP that just come to tell us to vote for them, and saying nothing about our culture and literature.” he said. However, most villagers are still unaware of the groups’ campaigns even though they have started canvassing for the votes, a housewife in Panglong said. Likewise, in Loilem, people are not aware of the groups’ activities and some do not even know elections are coming, said a source who asked not to be named. At present, the USDP has started to canvass in every part of Shan State, South, East and North. For instance, in the East, people over 15 are forced to apply for the party’s membership. If not their names would be in the blacklist. In the Shan State North, local village headmen were forced to collect members for the USDP party. 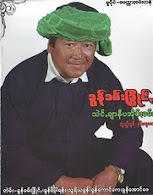 At the same time, the well-known Shan song composer Dr. Sai Kham Lake has reportedly accepted to be a candidate for the USDP to contest in Mandalay division. SHAN however was unable to reach him for further details. According to the Restoration Council of Shan State (RCSS), political wing of the anti-Naypyitaw Shan State Army (SSA) ‘South’’s statement released yesterday, it will not “support and recognize” the upcoming 2010 elections being planned by Naypyitaw.